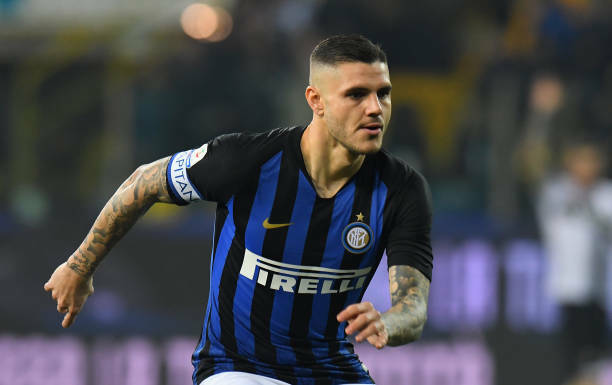 Juventus sporting director Fabio Paratici has confirmed that the club made inquiries into signing Inter striker Mauro Icardi ahead of the summer transfer window, as rumors continue to swirl regarding the forward's future. The striker was recently stripped of Inter Milan captaincy due to the fracture in relations that his contract extension talks have caused, and this has only increased the rumors of an exit this summer. And, amid this saga, the Old Lady's sporting director has confirmed that La Vecchia Signora has spoken to the Milanese club last summer about taking Icardi off their hands. "We asked for info. We wanted to know what Icardi thinks about playing for Juve." "But now there are no contacts, he's an Inter player and we are thinking about our season. "Lately there has been no contact, we are in February, he is an Inter player and we have important races ahead of us. It's a theme that we will come back to, or not, in June."